Just Holster It is proud to introduce to you the latest in IWB holsters, the Storm 2.0. With the Enhanced IWB Holster you have the option of concealing with a standard tuckable clip by Raven Concealment or our Adjustable Cant Versaclip for grab and go. Unlike many IWB holsters (whether you are using the Raven Tuckable Clip or our VersaClip) you can adjust the cant, which allows you to go from Crossdraw Carry to Small of the Back Carry, and gives you complete carry control. This system gives you the versatility of two holsters in one, and is backed by our Lifetime Warranty. In addition to adjustable cant, you can also control the ride height with the Raven concealment clip. You also get the flexibility of our adjustable retention gun shells, which allow you to make this potentially the last holster you will ever need to buy. 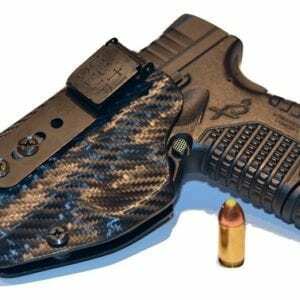 We build nothing but the best custom concealed carry holsters for a variety of handguns. You can find our holsters at a variety of dealers throughout the country, or you can order a holster online. If you want the IWB Holster however, it is only available on our website and via our storefront. If you want to try on the Storm 2.0 then come on in and try before you buy. IWB Holsters are concealed carry holsters designed to be worn inside the waistband of your pants or shorts. They provide a comfortable leather backing and minimize the poking of the gun parts against your skin. 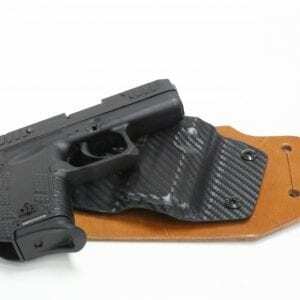 We provide a variety of options for our Hybrid Concealed Handgun holsters, including backer color, type of clip, and gun shell color. 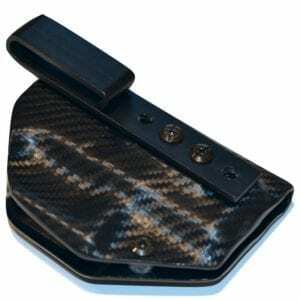 Best holster ever orderd there leather is softest ever the best you wont be sorry if you order.